I am in awe of this Quirk Hotel Engagement Session, and let me tell you why! These two are so good together. We met Erika through the photography community a couple of years ago. She too is a local photographer whom we love. I have always thought of her as so well put together and such a sweetheart. Over time we got introduced to Jason and immediately we loved him! He is the perfect match for this beauty. And she for him. He brings so much humor and she brings love, softness and grace. When Jason enters the room everyone knows that he is there. Not just because of his size but his personality as well. He truly is a big teddy bear! I love watching these two together. They compliment one another so well and I cannot wait to see them grow in their marriage. The way they laugh and relish in each others company is something sweet and endearing to witness. I hope these two will always look back at these pictures as well as their wedding portraits and reminisce on what brought them together and how they felt in the beginning. Erika wanted something different for their session. As a photographer herself she wanted a change of scenery. We both agreed on Richmond and I am so excited we did! Richmond is amazing!!! Everywhere you turn there are picturesque opportunities. We decided to meet at The Quirk Hotel. I have never been there, but after hearing amazing things it was on our list to check out! Let me tell you… This place did not disappoint! From its cute boutique style entrance and decor, to the amazing accommodating staff, this place was such a dream to shoot at. I couldn’t get enough of the beautiful light, textures, and surroundings. If you are thinking of getting married at The Quirk Hotel… Do it! And then hire us to be your photographers! 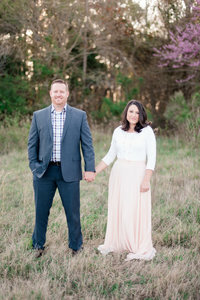 Jason & Erika fell right into place and we had such a great time with them. Our little Ryan also helped get a smile out of Jason by telling him knock knock jokes. I knew that bringing the kids would eventually pay off! After spending quite sometime at the hotel and surrounding area, we then headed to Belle Isle. We were able to shoot there not to long ago with another photographer couple which I need to blog because their pictures were such a favorite! Belle Isle is also amazing. The bridge that you walk is so fun and even with people walking in and out of your shots, it is perfect. This is probably a favorite session of ours. Not only because of the amazing locations, but because we truly adore this couple. We cannot wait to hang out with them more and see their wedding day unfold this coming March. It is going to be beautiful and I know that I will probably cry so I am already preparing myself! Some of our favorites from their Richmond Engagement Session! We were able to hit the rooftop for a few and I LOVE these! And then she pulled out this dress. All Heart Eyes!!! « It takes a village to run a business.